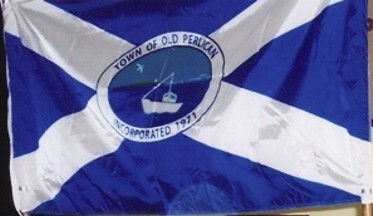 The flag of the Town of Old Perlican, Newfoundland and Labrador, consists of white saltire on blue and town crest on the middle. Flag was designed in 2005, by Kent Noonan. Photo of the flag can be seen at the town website.